Mr. Roop has a 40-year career in the electric utility industry focused on electric transmission and substation operation and management and culminating in his present position, as he has developed innovative approaches to improving operating procedures, resulting in cost savings to the Company.Chair of Dominion Virginia Power’s resiliency strategy team resulting in industry leading initiatives. Mr. Roop became the Director of Electric Transmission Operations in 2001. He is responsible for the operation of Dominion’s transmission assets, including substations, of Dominion Virginia Power / North Carolina Power.This includes over 6400 miles of transmission lines, 460 substations and 42,900 relays.Presently manages an organization that provides technical support and engineering resources for electrical equipment, protective relays and operations including research activities to support Transmission System development in the future.In addition, provides technical support for Dominion Generation substations, including protective relaying, for both regulated and merchant plants. Prior to 2001, Mr. Roop held various engineering and management positions in Energy Efficiency, Distribution, and Electric Transmission. Harry Kaffenes leads ABB’s Power Grids Systems Integration business in the United States, having assumed this role in February, 2017. Prior to his current role, Harry served as Head of Sales & Marketing for ABB’s System Integration business in North America since first joining the company in September, 2012. Prior to ABB, Harry held several leadership roles with GE in Strategic Planning, Sales and Six Sigma. Additionally, Harry was based in Zurich, Switzerland as the Chief Commercial Officer for Advanced Aerofoil Technologies, an investment casting company. Harry has a BS in Mechanical Engineering from Penn State University and an MBA from Colorado State University. He is based in Raleigh, North Carolina, home to ABB’s Power Grids headquarters on the Centennial Campus of NC State University. Harry and his family reside in nearby Cary, NC. Dr. R. Matthew Gardner presently serves as Manager, Electric T&D Services with Dominion Virginia Power. Matthew is a licensed Professional Engineer in the Commonwealth of Virginia. Experiences outside Dominion include positions with Tennessee Valley Authority, ABB Corporate Research Switzerland, Grenoble Institute of Technology in Grenoble, France, and event analysis consulting for the North American Electric Reliability Corporation. He has served in advisory roles on technical matters related to emerging electric transmission technologies, transmission planning strategy, Flexible AC Transmission Systems (FACTS), High-Voltage Direct Current (HVDC), operations engineering and contingency planning, mobile substations, switchgear, and workforce development. He has served as a lead engineer in key projects that involve public funding such as Department of Energy stimulus and R&D investments. He is currently on the Leadership Team of North American Synchrophasor Initiative (NASPI) as a liaison to the broader research community. Matthew has served several industry advisory boards including the University of Tennessee, Knoxville C.U.R.E.N.T. Center (as chair and past vice-chair) and Virginia Tech’s Bradley Department of Electrical and Computer Engineering. 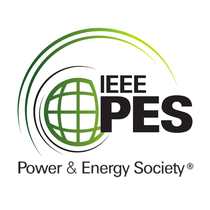 Matthew is active as a Senior Member of IEEE’s Power and Energy Society. He holds patents on topics related to pattern recognition for power systems. Matthew received his B.S., M.S., and Ph.D. degrees in Electrical Engineering from Virginia Tech and lives in Midlothian, Virginia with his wife and three kiddos. J. Kevin Curtis is vice president-Technical Solutions at Dominion Virginia Power. He is responsible for the technical and engineering aspects of the Electric Distribution business unit. These duties include design, planning, reliability, strategic underground, metering technologies, end-use technologies, renewable energy interconnections, and Federal Energy Solutions. Curtis joined Virginia Power in 1986 as an associate engineer. He held manager positions in Electric Distribution in System Reliability and System Planning and became project manager-Electric Transmission on July 1, 2006. He was promoted to director-Electric Transmission Planning & Marketing on April 1, 2007, and became director-Electric Transmission SOC & Planning on April 1, 2010. Curtis was named director-Electric Transmission Planning & Strategic Initiatives on Jan. 1, 2013, and assumed his current post Sept. 1, 2015. He is a registered professional engineer in Virginia and North Carolina. Curtis received his bachelor’s degree in electrical engineering from North Carolina State University and a master of business administration degree from Virginia Commonwealth University. Dominion [NYSE: D] is one of the nation’s largest producers and transporters of energy, with a portfolio of approximately 26,400 megawatts of generation, 15,000 miles of natural gas transmission, gathering and storage pipeline, and 6,600 miles of electric transmission lines. Dominion operates one of the nation’s largest natural gas storage systems with 1 trillion cubic feet of storage capacity and serves more than 6 million utility and retail energy customers. Our company is built on a proud legacy of public service, innovation and community involvement. In addition to our core energy production, transportation and storage businesses, we invest in the communities where we live and work and by practicing responsible environmental stewardship wherever we operate. ABB is a pioneering technology leader that works closely with utility, industry, transportation and infrastructure customers to write the future of industrial digitalization and realize value. ABB Power Grids is the partner of choice for a stronger, smarter, and greener grid. Our products & systems include the full range of power transmission & distribution solutions: generator circuit breakers, high & medium voltage gas insulated switchgear, high & medium voltage circuit breakers & switchgear, capacitors, arrestors, large & medium power transformers, HVDC systems, static var compensators, FACTS, ABB Ability digital products & services, energy management systems, and turnkey substations. Gas-insulated high-voltage switchgear (GIS) is a compact metal encapsulated switchgear consisting of high-voltage components such as circuit-breakers and disconnectors, which can be safely operated in confined spaces. GIS is used where space is limited, for example, extensions, in city buildings, on roofs, on offshore platforms, industrial plants and hydro power plants. ABB has always been and continues to drive innovation in GIS technology in ratings, operations, switching technology, smart control and supervision, and compactness. As a result, ABB’s GIS offers outstanding reliability, operational safety and environmental compatibility. It provides a complete range of products for all ratings and applications from 72.5 kV to 1200 kV matching current and future requirements for modern switchgears. At Burns & McDonnell, our engineers, architects, construction professionals, scientists and consultants do more than plan, design and construct. With a mission unchanged since 1898 — make our clients successful — our more than 5,300 employee-owners partner with you to solve the toughest challenges, constantly working to make the world an amazing place. As a 100 percent employee-owned firm, each of our professionals bring an ownership mentality to the projects we work on. That means we think like owners, working through each challenge until it’s resolved, exceeding expectations along the way. This dedication and drive positions us as an industry leader. Oldcastle Precast is the leading manufacturer of precast concrete,polymer concrete, and plastic products in the United States. With a nationwide network of facilities, our products are always close at hand. Our employees are committed to upholding core values of reliability, quality, and service in revolutionary ways. Our attention to detail exceeds the expectations of customers from some of the largest companies in the U.S., across a spectrum of industries. We are the world-leading supplier of modular-based seals. Founded in Sweden after the invention of Multidiameter™, a solution for adaptability to cables and pipes of different sizes based on modules with removable layers. Today, we provide sealing solutions for a wide range of applications within many different industries. Roxtec safety products are found on land, at sea and underground. We develop, manufacture, and sell complete sealing solutions for cable and pipe penetrations. Our modular-based seals are the foundation, but our sustainable growth is primarily built on committed personnel, strong values, and a clear customer focus. Our close co-operation with customers and the teamwork within our own global organization create excellent conditions for continuous improvement. They enable us to tailor new solutions – and stimulate us to keep on exploring new markets. WE SEAL YOUR WORLD! Southern States, LLC is a world leader in the design and manufacture of high-voltage switching devices. Products offered include group operated switches; ground switches; high-speed ground switches; motor operators; hookstick-operated switches (disconnect, bypass, transfer types); circuit switchers (both horizontal interrupter type and vertical interrupter [candlestick] type); load and line switchers; reactor switchers; capacitor switchers; power fuses; switch-fuse combinations; switch accessories; and high voltage current measurement device. In addition to the products listed, Southern States offers retrofits, upgrades and replacement parts for most high-voltage switching equipment and has a staff of experts ready to provide technical expertise, installation support and training. simple: to make electric power safer, more reliable, and more economical. Commonwealth Associates, Inc. is a 100% employee-owned and -managed corporation dedicated to helping power industry clients achieve project success every time. Commonwealth’s complete package of services for power generation and power delivery facilities encompasses owner’s engineering services; program management; electrical systems analyses; planning; mechanical, civil/structural, and electrical engineering; environmental permitting and licensing; land acquisition services; and construction support. Commonwealth knows that each client is unique and that each project has a different set of challenges to be addressed. Our experience with hundreds of utility standards and procedures, participation in professional and technical organizations that provide guidance and set standards for the industry, and mix of engineering expertise provide opportunity for development of innovative solutions to our clients’ problems. At the core of Commonwealth’s strength is our exceptional staff. We hire top talent and foster an environment to promote our employees’ abilities to partner with our clients to provide the results they need. We encourage employees to achieve professional status through licensure in their profession and offer educational opportunities throughout their careers. Additionally, we support our staff’s participation in professional organizations such as the Institute of Electrical and Electronics Engineers, the American Society of Civil Engineers, the American Society of Mechanical Engineers, the National Society of Professional Engineers, and the Edison Electric Institute. Commonwealth was established in 1988, following the closing of another major engineering firm's Jackson, Michigan, office. The founders had worked closely together on domestic and foreign electric utility projects for many years out of the Jackson office. Rather than leave Jackson, Commonwealth's founders left the company and took action to incorporate under a name that was—and remains—well known and respected in the electric power industry. The group devoted itself to structuring a new employee-owned company with the intent of upholding the previous Commonwealth Associates Inc.'s reputation for providing high-quality engineering and consulting services. Today, Commonwealth's staff of approximately 270 professional and technical employees represents one of the most skilled, experienced technical resources available to analyze, plan, design, and construct electrical power projects. Commonwealth serves clients throughout the U.S. from its offices in Jackson, Michigan, Everett and Liberty Lake, Washington; Kennesaw, Georgia; Columbus, Ohio; and Lancaster, Pennsylvania. North American Substation Services (NASS) is a nationally-recognized expert specializing in transformer and substation apparatus installation, services, and repair. Our management and highly skilled field-based force have received specialized training and are among the most experienced in the industry. NASS is dedicated to providing quality service and solutions that optimize the reliability of transformers and other substation equipment. Our customers know us as a trusted resource in the substation field with established long-term relationships grounded in integrity, professionalism, and value. utilities in US and Canada since 2000. GE Energy Connections designs and deploys industry-leading technologies that turn the world on. We transport, convert, automate and optimize energy to ensure we provide safe, efficient and reliable electrical power. Uniting all the resources and scale of the world’s first digital industrial company, we connect brilliant machines, grids, and systems to power utility, oil & gas, marine, mining and renewables customers, that keep our world running. Imagine a professional services firm with vision beyond "the ordinary." A firm with deep subject-matter expertise as well as deep national resources. A firm committed to putting clients at the center of everything it does. That firm is Dewberry. And those qualities are among the pillars of what we call "Dewberry at Work"—a set of guiding principles and values that govern the way we've done business for more than a half-century. Our market-facing professionals—many of whom are internationally recognized authorities—offer a proven track record of providing award-winning services and solutions to a wide variety of public- and private-sector clients. We've built long-term, trusted relationships through unsurpassed client service and a dedication to solving the most complex challenges of today and tomorrow. In the process, we help our clients transform their communities and improve the quality of life. However, the true measure of Dewberry lies in the commitment and caliber of our people. We hope you'll take the opportunity to meet with us and experience Dewberry at Work first-hand. Hitachi T&D Solutions, Inc. (HTDS) is a premier international supplier of electrical equipment, including 72.5kV-800kV dead tank high-voltage circuit breakers, 72.5kV-800kV gas-insulated switchgear (GIS), large power transformers (above 200MVA) and generator main circuit breakers. Phoenix Electric Corporation has been designing and manufacturing products for the transmission and distribution industry for over 30 years. In times where more and more manufacturers are gravitating to "standardized" products, Phoenix Electric prides itself on providing customized solutions tailored to specific customer requirements. More than half of the company’s employees are experienced engineers with the skills and expertise to custom design products and systems to meet your specific application needs—fully and without compromise. Committed to quality, Phoenix Electric manufacturers all its products in accordance with all applicable ANSI / IEEE / NEMA / NEC standards and inspects them under strict Quality Assurance guidelines fully consistent with ISO 9001 standards. So, the next time a standard product doesn’t fully meet your needs, contact Phoenix Electric about a no-compromise, custom solution. Trachte LLC Manufactures high quality pre-engineered metal frame buildings to protect your assets in Power Transmission and Distribution, Oil and Gas, Pumps, Industrial Applications, Data Centers, Mining, Telecom and Transportation. We have a century of experience delivering high value products and services. This new release GIL Guide is giving information on the application of gas-insulated transmission lines (GIL) for voltages of 72,5 kV and above. This Guide is based on the IEC standard for GIL IEC 62271-204 where the technical requirements, type and on-site test for GIL are defined. Guidance for the planning, permitting, design, equipment specification, installation, commissioning, operation, and maintenance of gas-insulated transmission lines is provided in this project. Only technical aspects are addressed in this guide. Commercial and legal issues associated with gas-insulated transmission lines are not considered. The purpose of this guide is to provide technical assistance for the selection, application, and project management for a gas-insulated line (GIL) transmission project from initial planning through decommissioning and retirement. The tutorial will give a short overview on the content of the new IEEE standard. Enjoy good conversation and networking with friends and peers from our industry over exquisite food and drinks.